My mom has been making homemade chicken salad for our family for years and here is one of her variations!! 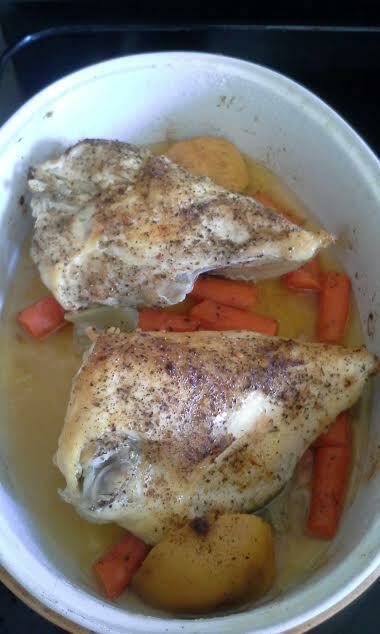 She roasted these breasts with seasonings, carrots, and lemons in the oven before cooling and de-boning !! 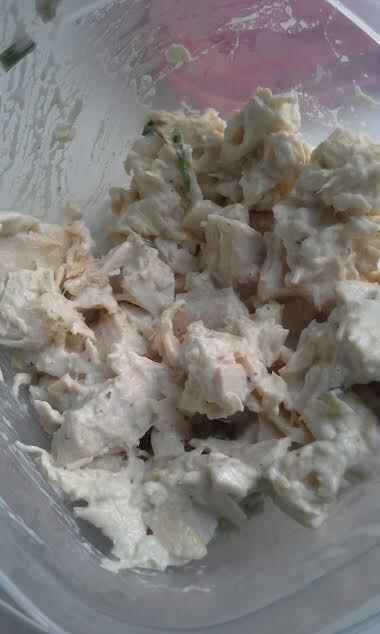 Then my mom uses mayo, onions and celery, and seasonings for the finished chicken salad below!! This looks so yummy. I could eat chicken salad for all meals haha!